Enter Your Favorite Cragun’s Vacation Memory Here! Send a story, photo or video of a past Cragun’s vacation. Each week, new memories will be posted to our Web site for people to vote on during the contest voting phase. You vote, have all your friends vote. 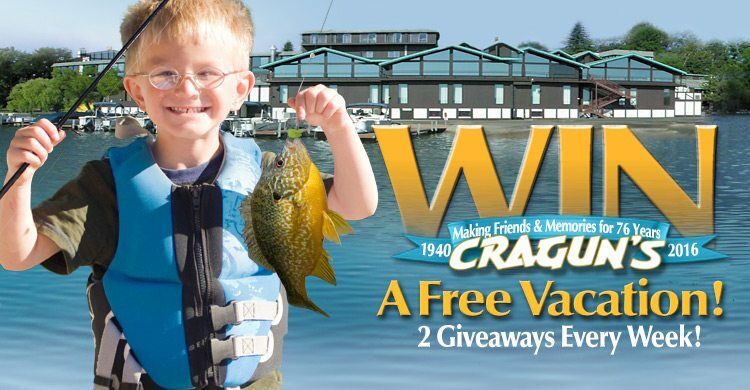 The entry with the most votes each week wins a Cragun’s vacation getaway! SelectI do not agree to the rules & conditions.I affirm I have read and agree to the rules & conditions. Please read the rules and conditions. Entries are not valid unless the terms have been read and agreed to. If you have a photo or video to send us, first submit the required information above. You will then be given the option to email a photo or video.